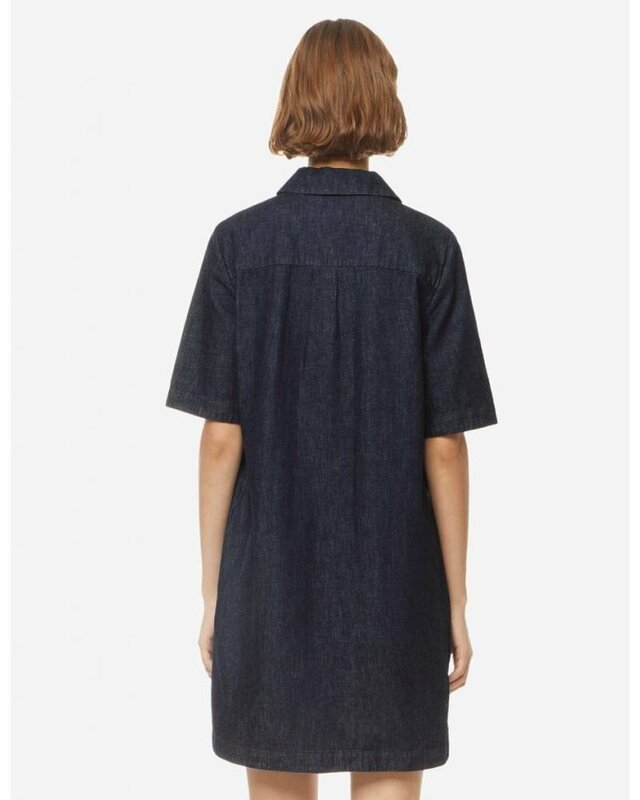 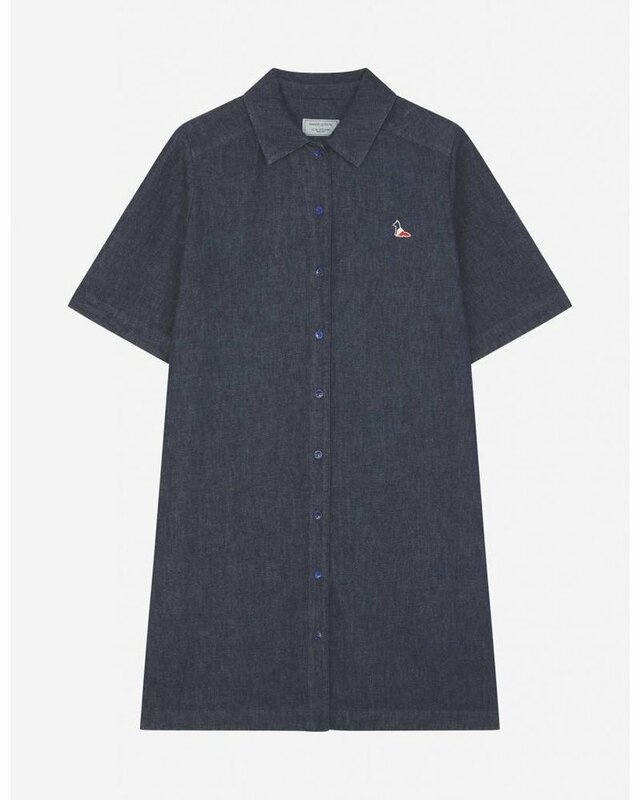 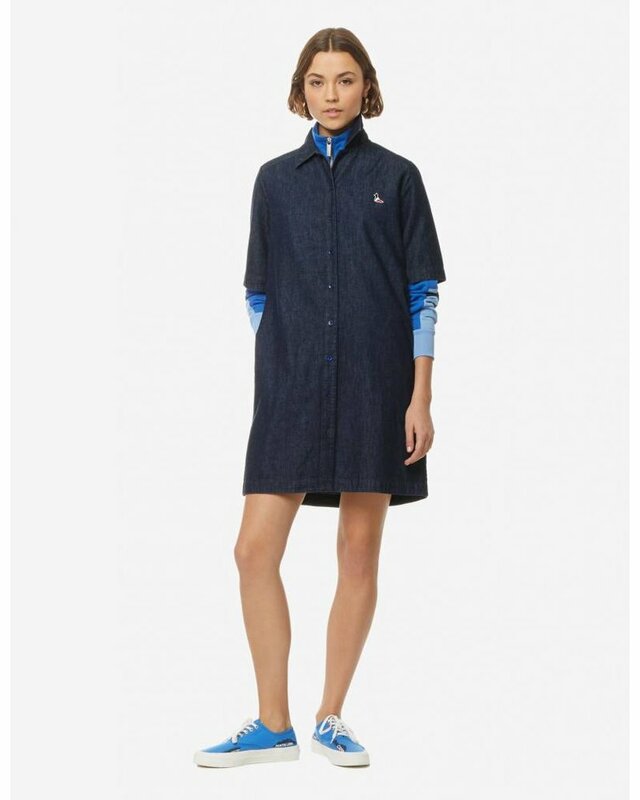 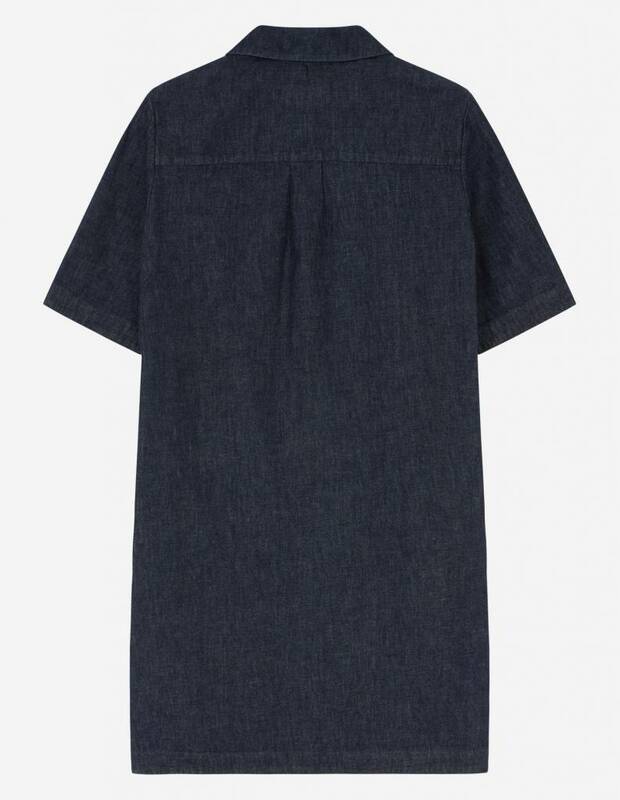 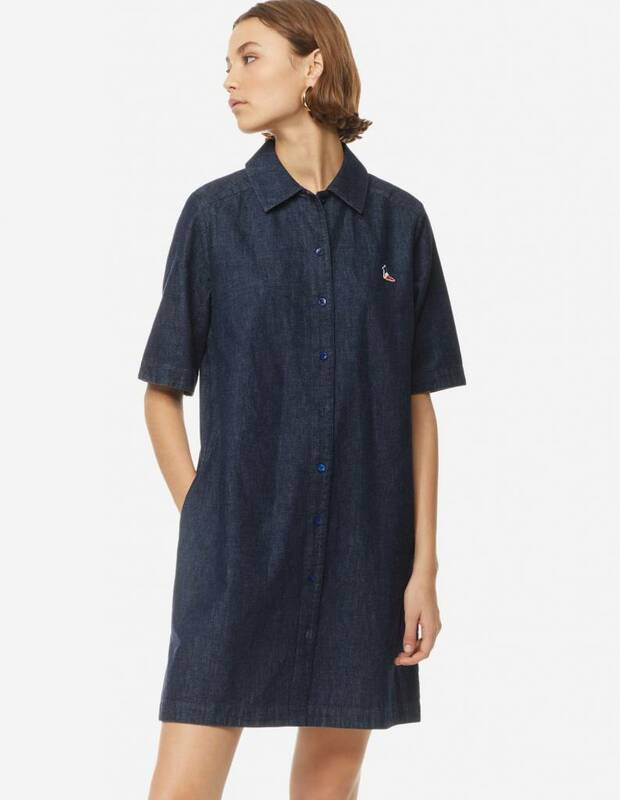 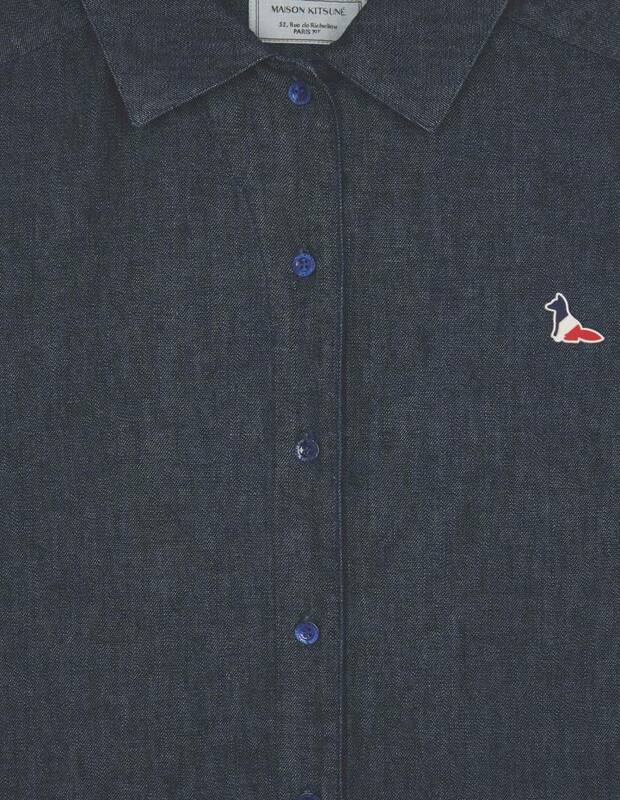 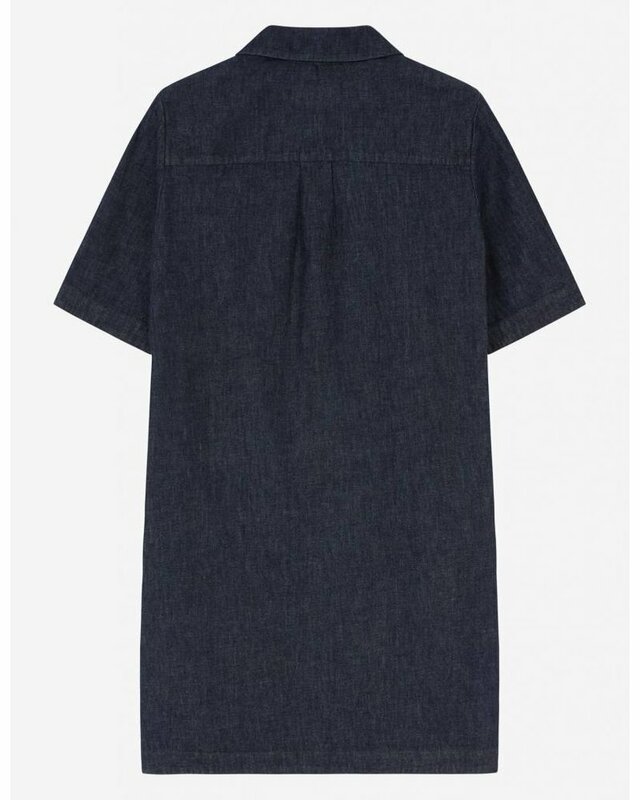 Done in premium Japanese denim, this MAISON KITSUNE A-line shirt dress is distinctive for its short sleeves and self collar. Slightly flared, this open dress with small engraved buttons is highlighted by the brand’s iconic fox patch, which is embroidered on the chest. In-seam pockets and an inverted pleat in back.